I’m not a rugby fan but the Rugby World Cup is creating great community spirit here in the Far North. Tonight, I understand is the opening match between Tonga and the All Blacks. 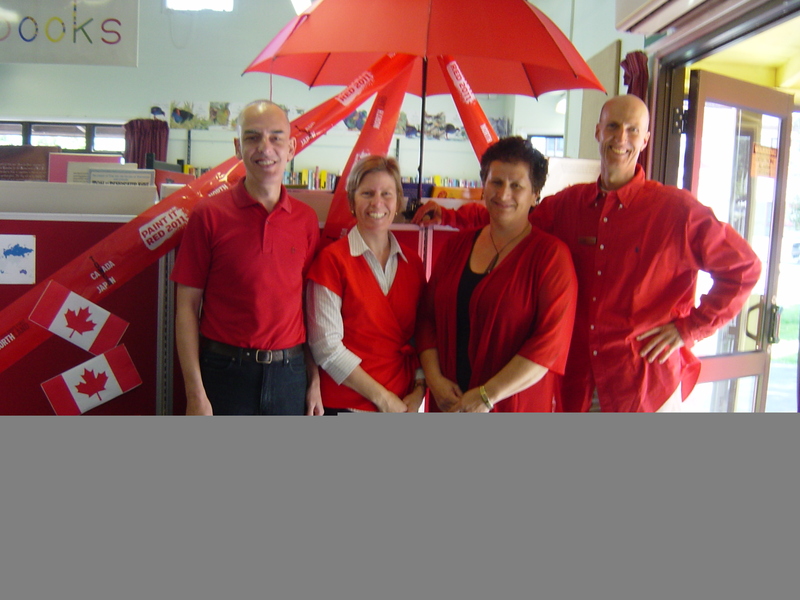 Kaitaia shops were painting it red today in honour of the three teams with red in their flags: Canada, Japan and Tonga. So here’s a photo from the library today of our team painting it red.